First investor: "I've got a stock here that could really excel." Fourth investor: "Sell?" -- and the crowd goes, "Sell, sell, sell!" First investor again: "This is madness! I can't take it any more, good bye!" Third investor: "Buy?" -- and the crowd goes: "Buy, buy buy!" As random and unpredictable as this cartoon makes it look, EWI's research reveals that investor psychology actually goes through similar phases during every market cycle. So, if you know the current psychological phase of the market, you can make a high-confidence prediction about the next phase. ... a knowledge of wave personality can be invaluable. Recognizing the character of a single wave can often allow you to interpret correctly the complexities of the larger pattern. Specifically, EWI's analysts have observed that the stock market trend develops in five waves, while the reaction against it develops in three waves. So, in a bull market, expect five waves up, followed by a downward move of three waves. In a bear market, expect five waves down, with the upward correction occurring in three waves. The bullish response to the market's decline is exactly what the Wave Principle suggests should occur at a trend reversal. Near the end of a second-wave rally in a bear market, Elliott Wave Principle by Frost and Prechter states that "investors are thoroughly convinced" that the bull market "is back to stay." 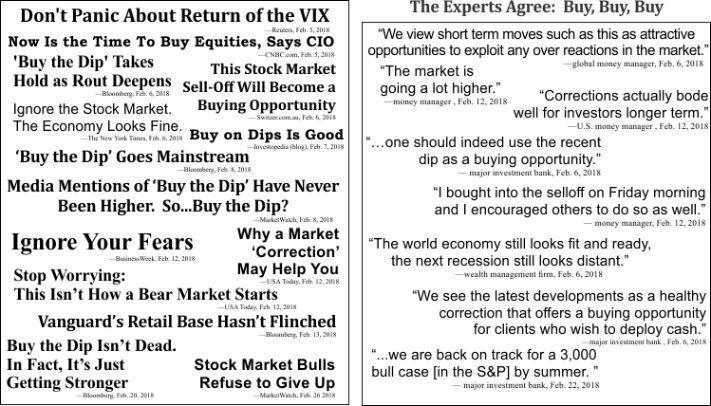 In the current case, most investors are convinced that the bull market never went away. Since that analysis published, the DJIA's Elliott wave pattern has provided our analysts with even more clues about the stock market's next big move. This article was syndicated by Elliott Wave International and was originally published under the headline What to Expect at a Critical Market Point: End of a Wave 2 Rally. EWI is the world's largest market forecasting firm. Its staff of full-time analysts led by Chartered Market Technician Robert Prechter provides 24-hour-a-day market analysis to institutional and private investors around the world.